If you've been admitted, we encourage you to submit your tuition deposit to save your spot. While the priority deadline is May 1, 2019, it is possible that the incoming class will fill before that date. Deposits are accepted on a space available basis. The Husson University/Eastern Maine Medical Center Nursing Program brings together two institutions that share a commitment to excellence in teaching and to the relevance of practical experience. Graduates of the program are prepared to enter a wide variety of practice settings as beginning professional nurses. Potential settings for practice include all areas of hospital nursing, ranging from critical care to newborn nursery, as well as community health, clinic, psychiatric, and long term care settings. Baccalaureate degree graduates also are prepared to pursue specialized nursing study at the master’s degree level. The program provides a strong base in the arts and sciences, both as a theoretical foundation for nursing practice and as a component of a well-rounded education. 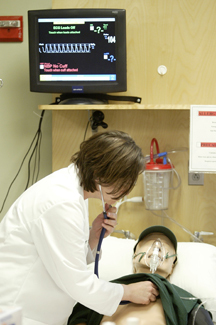 Clinical experience in nursing is integrated throughout the program of study. The nursing faculty are proficient in their theoretical knowledge and active in their respective clinical areas, providing students with role models for excellence in patient care. A state-of-the art learning resource laboratory located on the University campus allows students to have extensive practice in developing and refining critical-thinking and psychomotor skills. 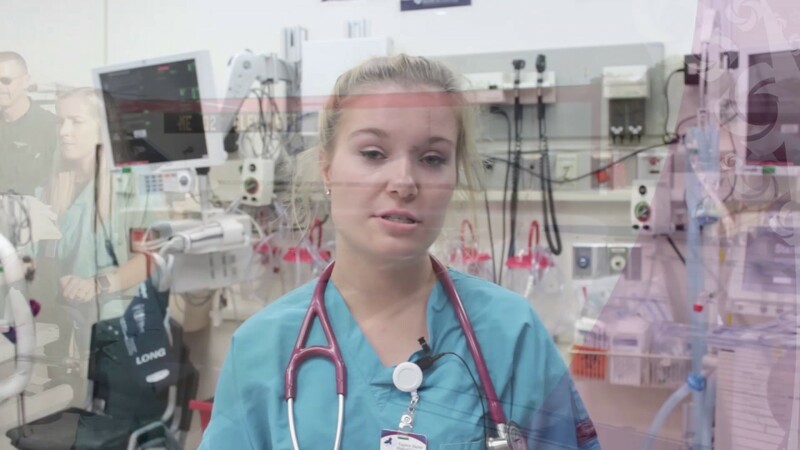 High-fidelity and hybrid simulation opportunities provide valuable active-learning in a safe practice environment for all students throughout the program. The goal of all learning experiences is to prepare professional nurses who, upon graduation, are theoretically knowledgeable, clinically competent, and compassionate care providers. Throughout the program, emphasis is placed on building upon the student’s past learning experience. In keeping with overall University policies, transfer, CLEP and proficiency examination options are available to students who have completed appropriate educational experiences prior to entering the program. Part-time alternatives for working students who wish to pursue a baccalaureate degree are available. Integrate knowledge of theory, liberal studies, research and evidenced-based nursing practice in the design and provision of nursing care for individuals, families, groups and communities. Demonstrate entry-level competence in the role of the professional nurse. Synthesize the nursing process in the care of individuals, families, groups and communities. Incorporate therapeutic communication in the care of individuals, families, groups and communities. Design strategies to promote optimal health for individuals, families, groups and communities in a variety of settings. Demonstrate competency in informational and health care technologies. Integrate professional, ethical and legal accountability within one's practice of nursing. Integrate beliefs, values, and practices of individuals, families, groups and communities in the provision of holistic nursing practice. Analyze health care delivery systems to include the role of the professional nurse in influencing health care issues and policies at the local, state, national and global level. Assume responsibility for life long learning that enhances professional nursing practice.